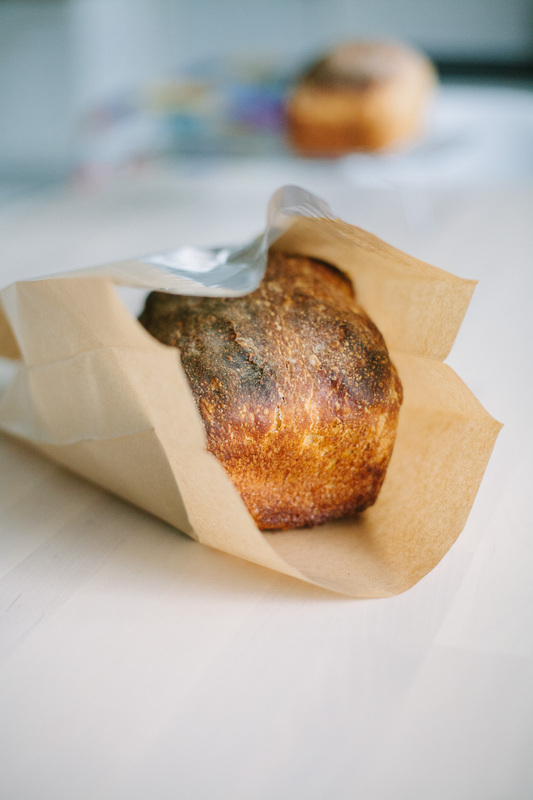 The only thing better than a fresh loaf of sourdough is a fresh loaf of sourdough someone made you and wrapped in a clean bakery bag. Presentation, am I right? Finding the right bakery bags, however, can be challenging. “It doesn’t have to be fancy; we just don’t want to hand it over in a plastic grocery bag,” lamented one online commenter, Janet, in a 2015 post at The Fresh Loaf. Responses to Janet’s request about better ways to wrap bread loaves ranged from wax paper to brown paper lunch bags. One commenter suggested wrapping loaves in tea towels that are also part of the gifts: “I place the loaf in the middle and tie opposite corners together and make knots. The last knot makes a handle to carry,” said a user named Mini Oven. Others liked plastic bread bags, the kind you can tie up at the end; parchment paper you wrap up and tie with string; wicker baskets; or bakery boxes, though they can run $1 apiece. Online, bread bags come in different sizes and materials; small bags, the kind designed for quick breads, are easier to find. You can also buy various options from restaurant suppliers, but you’ll have to buy by the case if you do. Because I wanted a solution that would work with both round sourdough loaves and sandwich breads, I wanted a wider bread bag than most. It would need to be at least seven or eight inches wide and, ideally, deep enough to accommodate thick loaves. What I ended up buying were a $12 pack of 30 paper bags with front windows (8.3 x 13 x 3.5 inches). They’re perfect. Sadly, they’re already sold out or unavailable now. Click that affiliate link, and you’ll see two other styles still available, both of which have some writing or design. If you prefer a plain bag like I did, a similar option that’s just slightly smaller would be this $14 pack of 50 bread bags (6.5 x 12.8 x 4 inches), made by the same company. They look just like what my favorite bakery in Nashville (option two in this list) uses to wrap up its breads. If geeking out about bakery bags is your idea of fun, you might be a bread baker. You also might appreciate some of the other bread-related posts previously posted on this site! Head over to the Sourdough category page to read more! disclaimer: this post contains Amazon affiliate links, through which I receive a small commission on any purchases made.